These resources will help you get started in DIY augmented reality. It has already been a while since Augmented Reality came into market. From Snapchat to the latest sensation Pokemon Go, it has been with us for a long time as compared to Virtual Reality. But DIY Augmented Reality is new in the sense that developers are taking it more seriously. And the interest of more number of people are shifting towards it. Many companies are also working on finding the new possibility in Augmented Reality, whether it be Microsoft or Apple. Microsoft Hololens, has got a pretty great response and people are finding it quite interesting. Recently, Tim Cook had also talked about Augmented Reality being bigger than Virtual Reality. So, the brief introduction to Augmented Reality must have got you interested in DIY Augmented Reality development. But are you still confused on from where to start. Don’t worry, below are the list of all resources that will help you to get started in DIY Augmented Reality. There are handful of courses on Augmented Reality, for now. But there is a possibility that the number will shoot up. Coursera has a pretty good course on Augmented Reality, if you are looking to get started with the basics. This course will teach you the basics of developing mobile applications using Mixed and Augmented Reality (MAR) technologies. Through hands-on projects, you will learn practical techniques to rapidly and easily prototype three different applications for Android smartphones and tablets – even with no previous coding experience. If you are a creative entrepreneur, this is your ideal introduction to today’s trends in the products and technologies of the emerging augmented reality market. This course deals with the new emerging technologies of IoT (Internet of Things) and AR (Augmented Reality). IoT is a new emerging technology domain which will be used to connect all objects through the Internet for remote sensing and control. IoT uses a combination of WSN (Wireless Sensor Network), M2M (Machine to Machine), robotics, wireless networking, internet technologies, and Smart Devices. Augmented Reality is the most effective technology in providing real-time and real-world view information to users. Here advancements in Smart Devices are expected to trigger various new Augmented Reality services. Vuforia is a DIY Augmented Reality Software Development Kit (SDK) for mobile devices that enables the creation of Augmented Reality applications. It uses Computer Vision technology to recognize and track planar images (Image Targets) and simple 3D objects, such as boxes, in real-time. This image registration capability enables developers to position and orient virtual objects. Such as 3D models and other media, in relation to real world images when these are viewed through the camera of a mobile device. The virtual object then tracks the position and orientation of the image in real-time so that the viewer’s perspective on the object corresponds with their perspective on the Image Target. And so that it appears that the virtual object is a part of the real world scene. Though there is a lack of good documentation (things are getting better) and you will have to be patient while indulging into DIY Augmented Reality development. Apart from the courses, you can also follow the youtube tutorials for Augmented Reality. Here, you can learn various ways in which you can get started with DIY Augmented Reality development. If you are good at processing, Arduino, Unity or others. Then this is the place for you. Besides, if you are a keen follower of blogs. Then I would recommend you to start with Ourtechart. It has a set of tutorials to make Augmented Reality using various tools like Unity, PopCode, etc. This will certainly be easy for you if you have previous experience in hardware. Moreover, you can also follow along Instructable tutorials on DIY Augmented Reality. They are pretty easy and give you an demo of Augmented Reality development using Vuforia and Unity. If you are still reading this, then you are lollygagging. Dive in to any of the links given above into the world of AR development and discover new possibility. 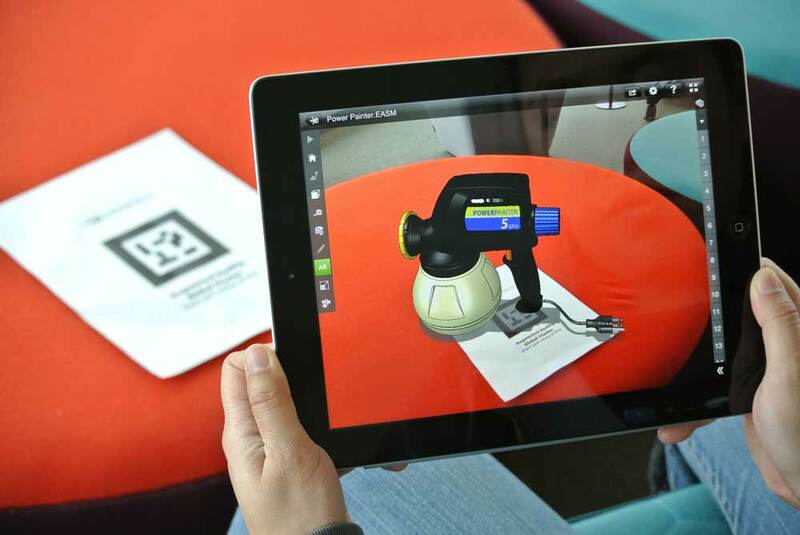 This guide has been intended to consolidate the best learning resources on the web for beginners on DIY Augmented Reality. You can also connect with me on our online Slack channel in slack to get more guidance and check out Maker Pro’s AR & VR page to become an expert.